Have you ever lain awake at night pondering what your future may hold? Sure you have. After all, we all have those restless nights every now and again. 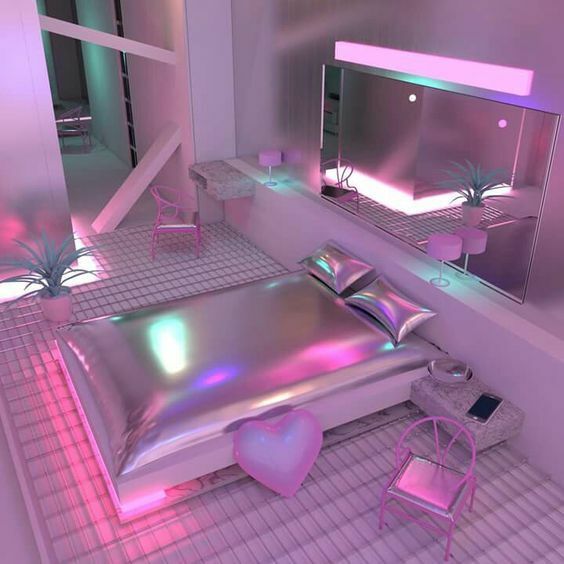 And while we cannot solve your small or big problems, or tell you which way to go from now on, we can make sure that the future looks bright, stylish, and enticing – at least in your bedroom. 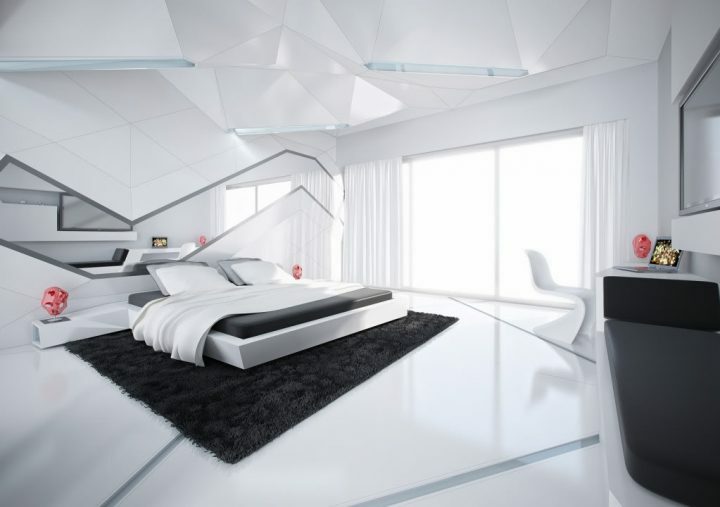 Futuristic bedroom designs can be many things, and the “perfect choice” of decoration might look very differently for each and everyone of us, but there are a few style-ingredients that can serve as the basis for your new, futuristic bedroom design. 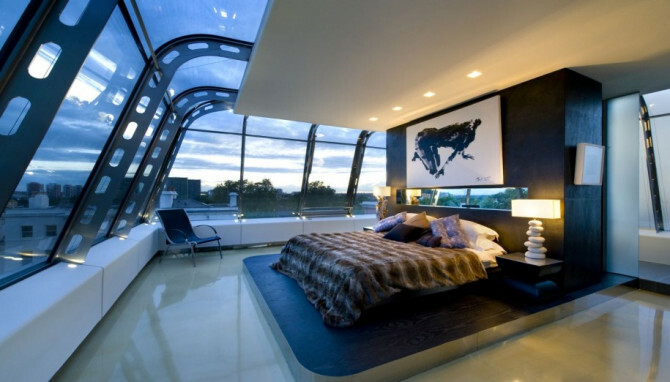 Every good bedroom design, and futuristic ones in particular, need a lot of open space. Cluttered surfaces, tons of knick-knack everywhere, and too many items of furniture may work for the most design-savvy among us, but for the vast majority of people these ingredients are a surefire way to kill the mood of a room. Clutter very rarely is an enhancer. Open space is. Sure, we all need more space than we actually have for our clothes, but no matter how large or small, a hidden wardrobe is the way to go to make a design shine. If you are in the lucky position to have a walk-in wardrobe, or even a whole separate dressing room, you won’t need to trouble yourself with this. For everybody else, hiding your wardrobe behind faux wall-panels might be a way to go. At the very least you should make sure that your closet’s fronts are uniform and that the material matches the overall room-design. 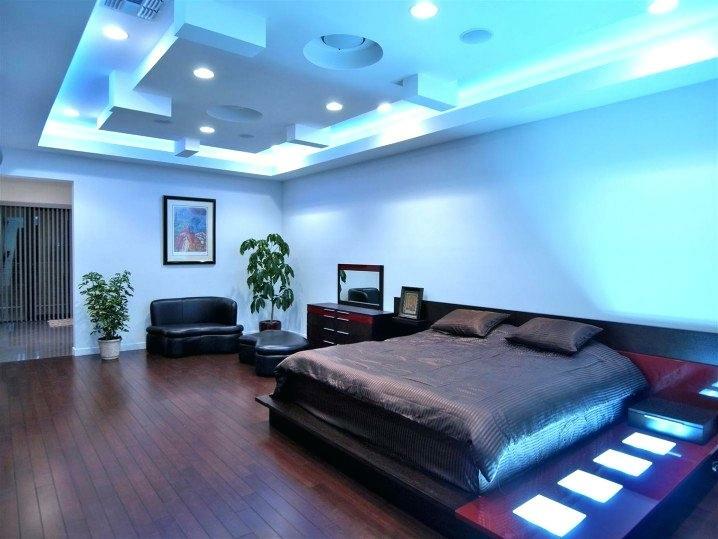 Invest in good, well-spaced, varied lighting. 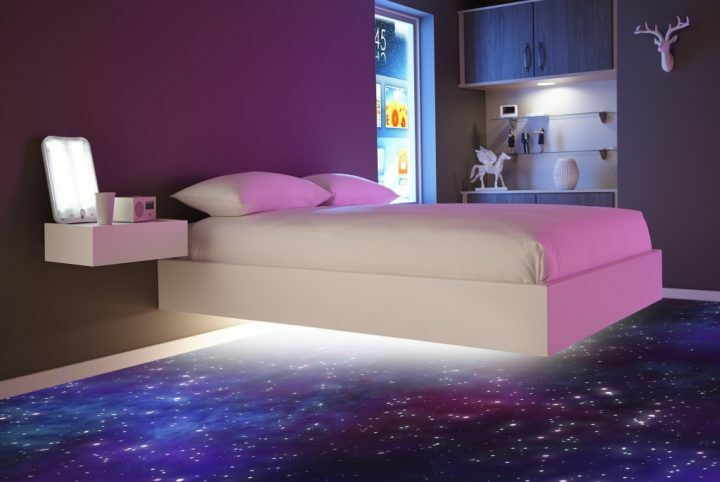 As we have established before, your futuristic bedroom needs a lot of space, and you will need to make this space shine – literally. 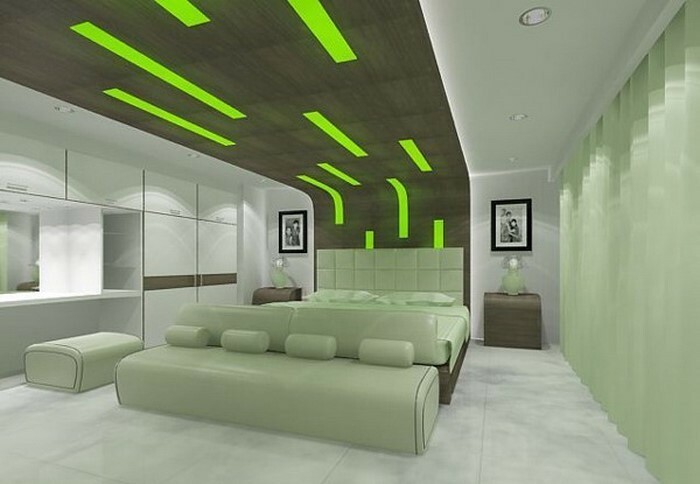 In addition to playing with natural light-sources, you should go for a well-balanced mixture of direct- and indirect lighting that gives you as much and as little light as any situation might call for. 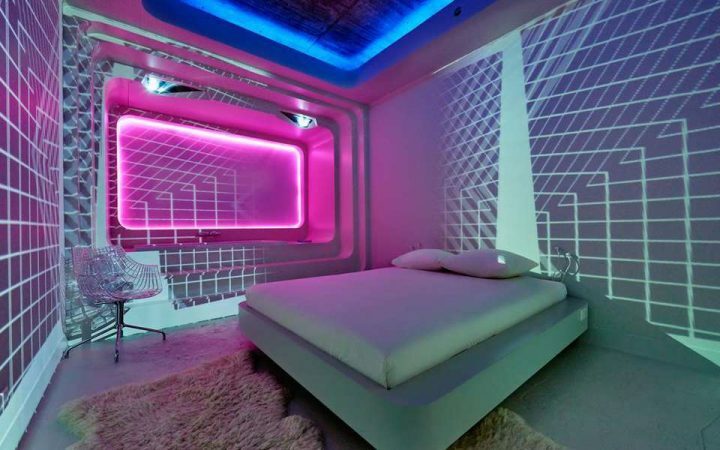 Now that we have covered the basics, let us dive into the world of futuristic bedroom examples. Prepare to discover the future! It might not be magic, but it does come close to it, visually. 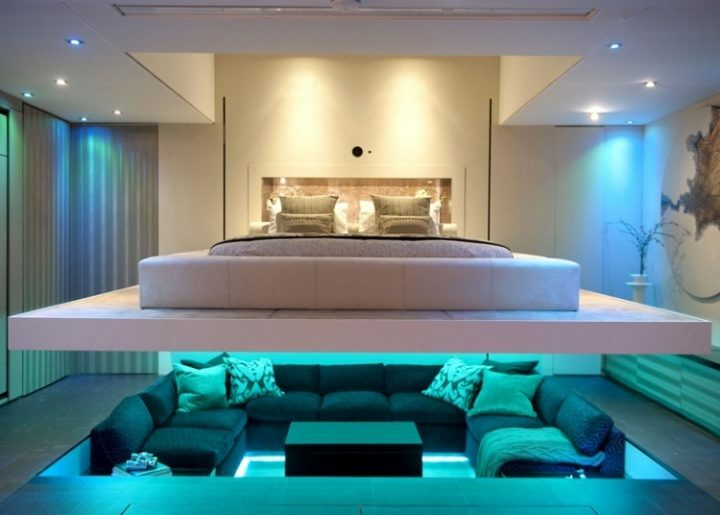 A floating bed is a great way to inject some taste of the future in any bedroom design. 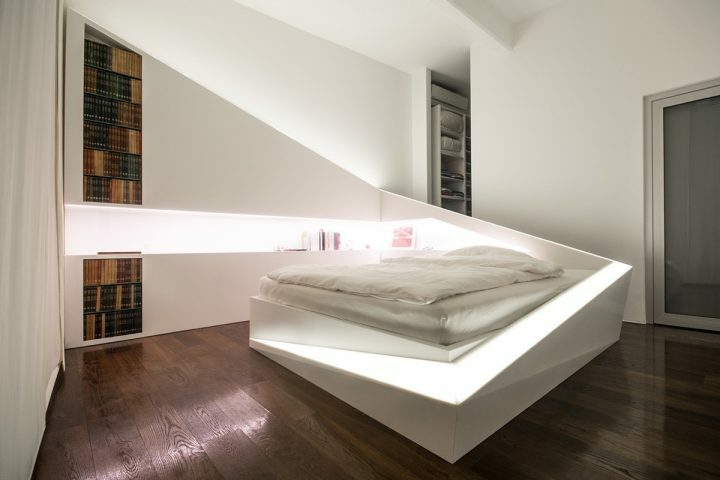 Basically, this bed is nothing but a “regular” bed, but instead of being mounted on four legs or some type of base that might hold under-bed drawers, this type is suspended over the floor by its headboard or by being anchored to the wall. 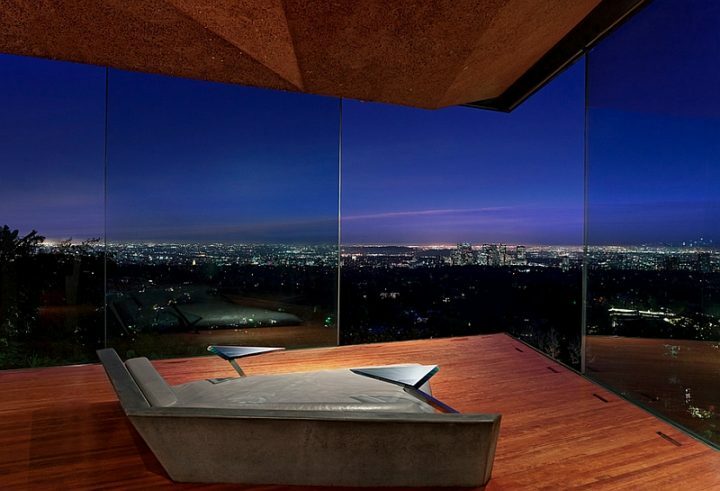 In quite a lot of Sci-Fi movies you will have seen the large glass-fronts overlooking the city or (bare) landscape below. This image from our collective cultural knowledge translates well into the now as well. Make use of window fronts to create the feeling of surveying the (possibly hostile) environment or the living, breathing metropolis from the sanctuary of your own home. One of Sci-Fis biggest themes is a society that has moved to the bottom of the sea, be it to escape polluted air, or to help solve the problem of overpopulation. 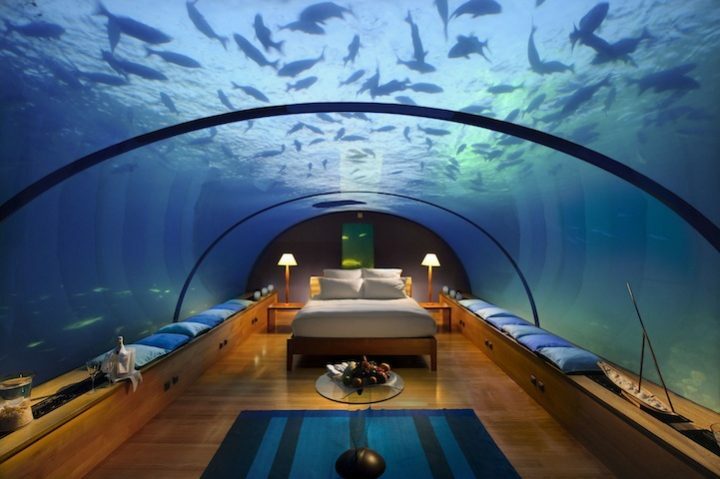 It should not be surprising, that this enticing idea (who doesn’t want to live at, if not in the sea?!) 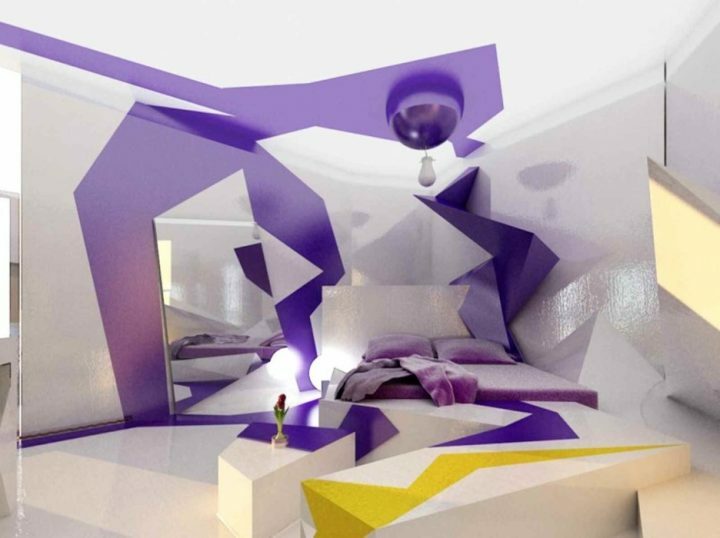 has been picked up as a popular motive for futuristic bedroom designs. 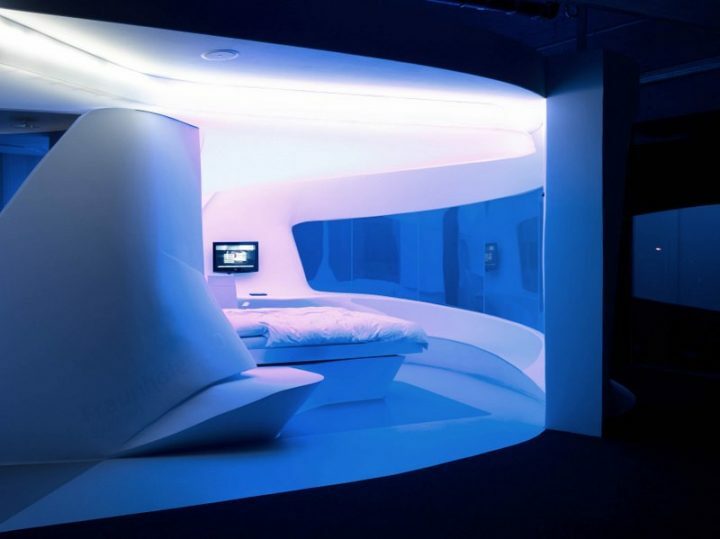 In our collective imagination a future life very often contains the idea of living in a “pod”, whatever this may look like exactly. 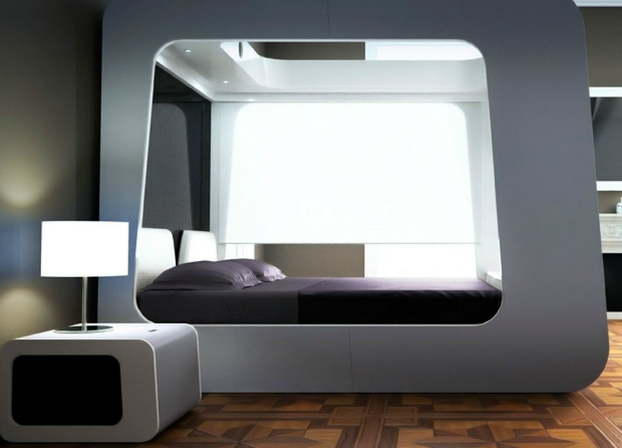 One thing is undeniable, though – living space will become smaller and smaller, particularly in the cities. 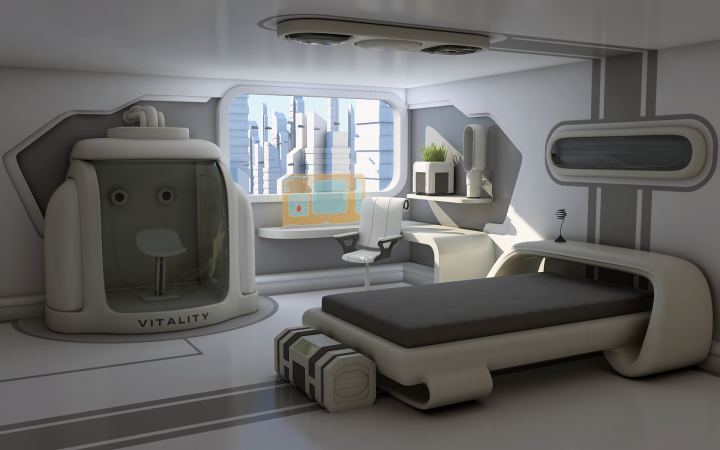 So it is not a big surprise that our ideas for the future feature small, enclosed spaces in which humans live like the proverbial peas in a pod. 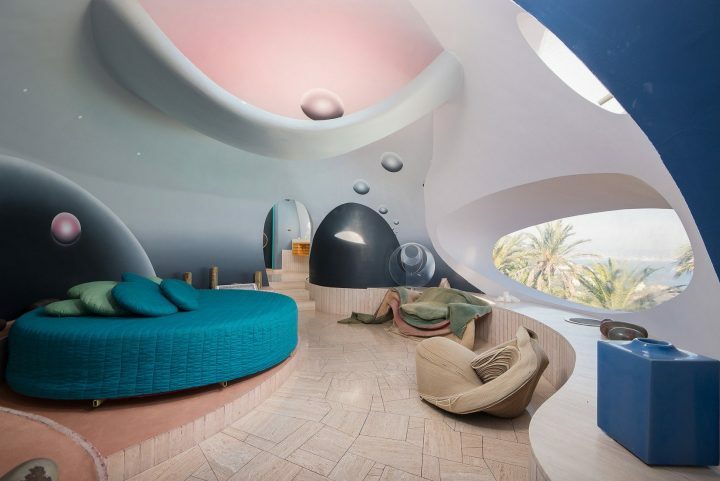 This idea of pod-like, bubble-shaped designs also features heavily in futuristic bedroom designs, and it’s definitely a sight to behold. Am overall black and white design by no means is novel or futuristic concept, but this classic colour-scheme combined with plain lines, curved walls, wide windows, and other futuristic design elements are a real stunner that works just as well in the now as it does in an as of jet undefined future. Obviously spaceships feature very high on the list for futuristic design inspirations. 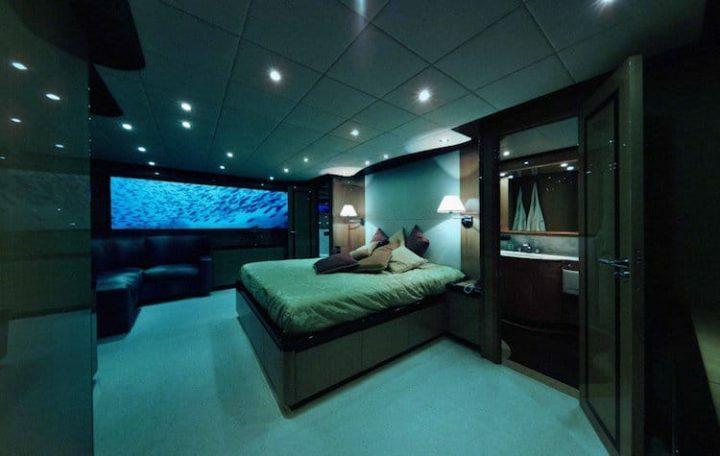 And we’re not talking about the super boring interior of our contemporary rockets here. 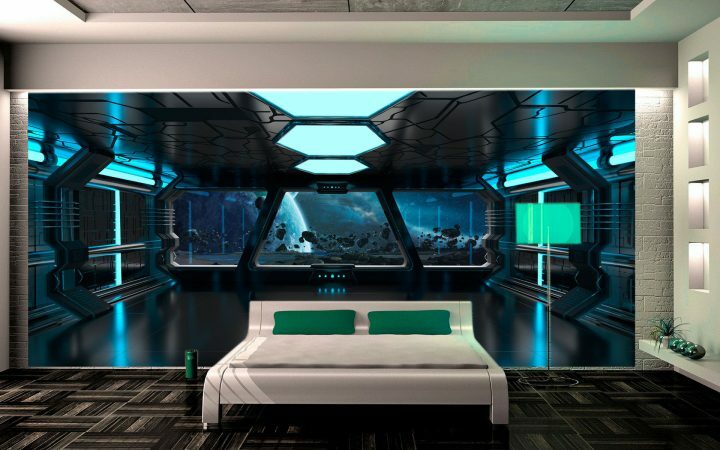 Spaceships, in popular culture, come in all shapes and sizes, but they all feature a kind of over-the-top yet reduced visual style that simply begs to be adapted for bedrooms. Wheter you go all neon-coloured or regulation-issue grey in the colour scheme, the general idea seems to be that the future can go either way. In other words, it’s completely up to you which way your Sci-Fi inspired bedroom decoration will go. As long as it’s different, you’re definitely in! 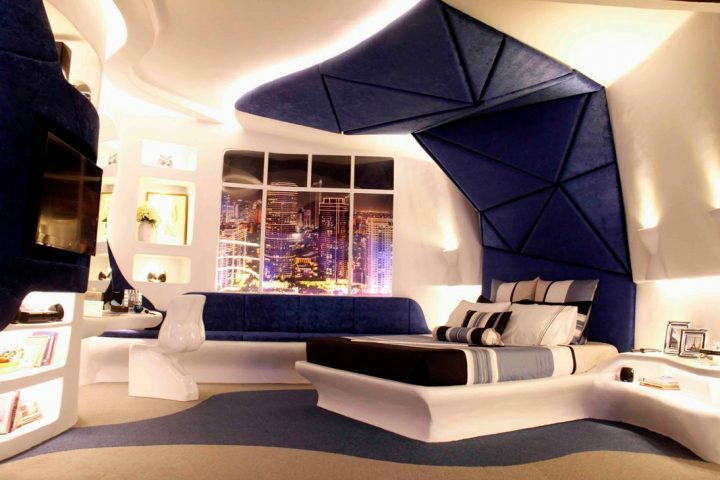 A common theme in futuristic bedroom design is the enclosed bed. 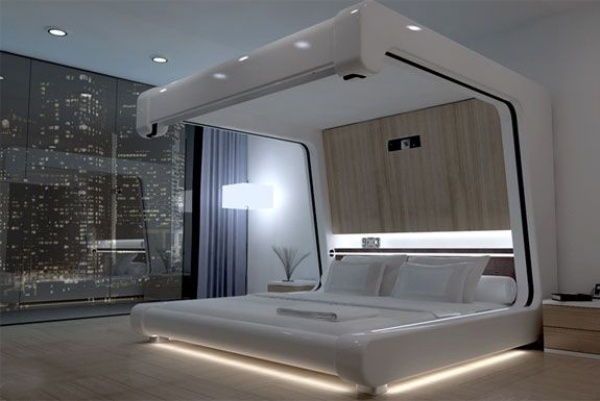 This type of bed is either fully enclosed in a kind of “pod”, boasts high curved head- and foot-boards, and/or is covered by a canopy – whether a real one or a clever way of designing floor and ceiling colours. 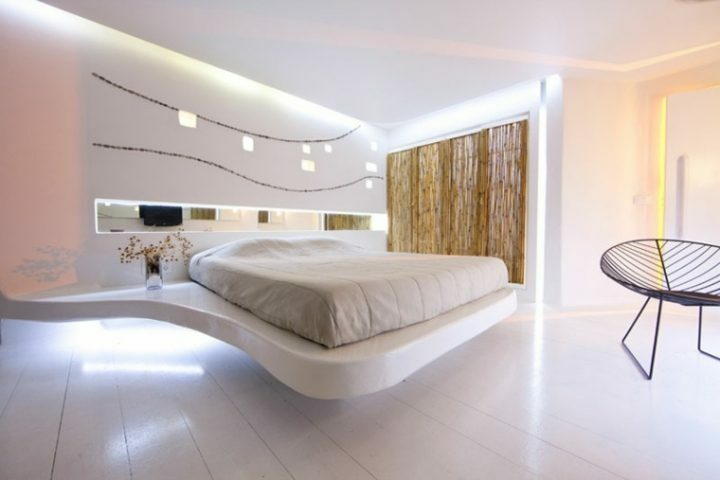 There are, of course, also more contemporary bedrooms that incorporate various of the futuristic aspects we have mentioned above (and a few others as well). 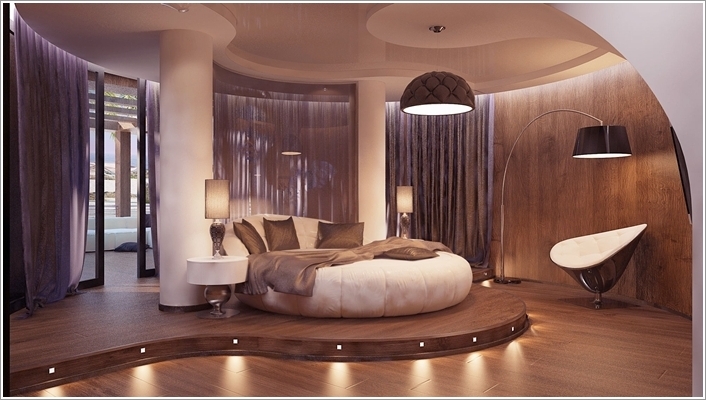 Those might just be the most easily applicable futuristic bedroom design ideas for you. 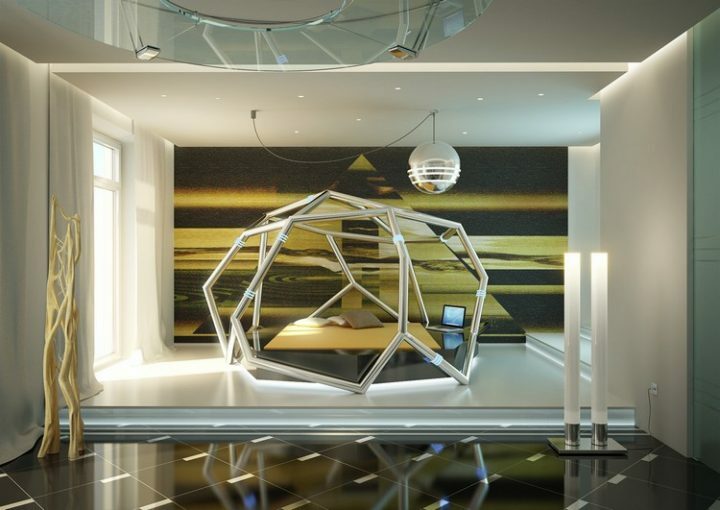 The typically do not need a whole remodel, but just a few futuristic touches here and there that change the feeling of the whole room. 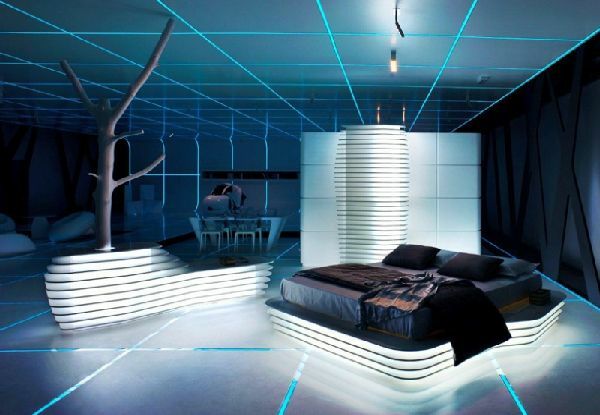 Which of the futuristic bedroom design ideas do you like best? 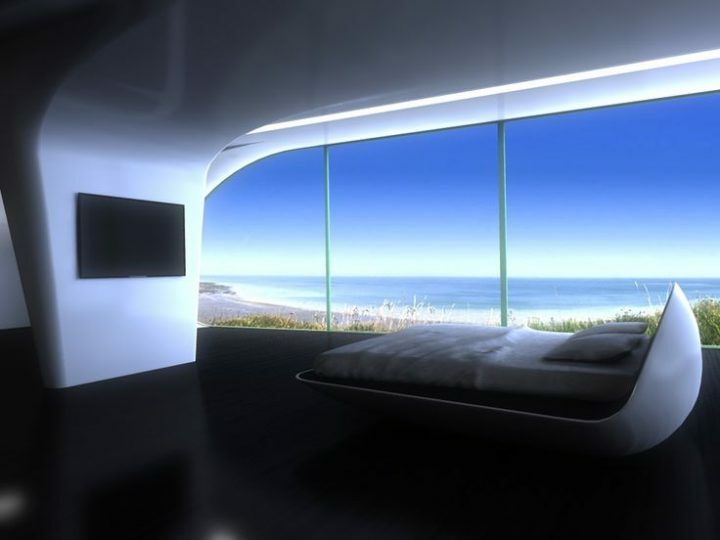 Which of our examples would you want to sleep in – now, or in some distant future? Let us know in the comments below!